There are things and people worth fighting for, while there are some that aren’t. When can you say enough is enough? According to relationship experts, the reason why troubled relationships last longer than it should is not that both people involved fight for each other; but because both partners keep putting off the early signs of perpetual problems. When couples seek out help from professionals, it’s then too late. The damage is so severe that seeking professional help can be a legitimate alibi that they’ve tried their best to put it all together but just can’t. 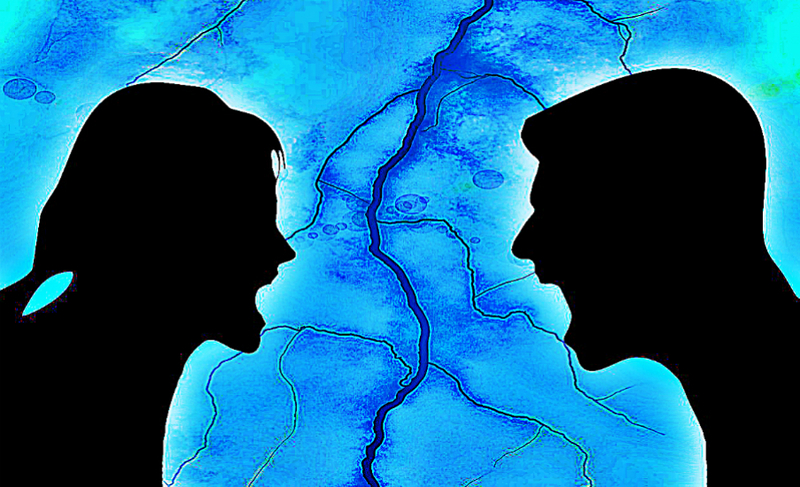 When you and your partner disagree more often than you agree, it might be earlier signs that you’re not the couple you wish yourselves to be. It’s better to deal with such problems earlier than keep putting them off until you’re hurting each other more than you never intend to be. 1. You try to avoid each other. You’re avoiding each other believing that not having private conversations is keeping up the peace. You either pick up your phone when the other person is around or do unnecessary things to keep yourself busy. Working overtime is also another way of spending too little time at home. However, the more you do this, the more you’re escalating the tension between you. Confrontation may look scary but dealing the problem together is the best way to soften things out. 2. Your interactions always result in conflict. You can’t seem to talk with each other normally. Every time you converse, you often end up in a heated argument. It’s like walking on eggshells where you’re always afraid something may break off. And it’s not healthy. When the familiar habits of your partner irritate you, it means your relationship is in trouble. 3. You no longer discuss major decisions. Career change is a major life decision that is often discussed by couples, whether taking such pursuit is wise or not. It’s a red flag that things are getting worse between the two of you when you discover from a friend that your partner is changing careers in a month or two. Their independent decisions mean your opinion or preferences no longer matter. 4. Your treatment with each change. Because you find it hard to convey your true feelings for each other, the feelings of unhappiness may cause you to treat each other more differently. This can be seen in the non-verbal nuances you display. Ignoring each other is much more common than acknowledging your presence, which is making you more unhappy. 5. One of you resorts to power play. Power-play or manipulation is observed when the other person no longer wants to talk things out. It’s either you take it or leave it. The other person would no longer listen because their word is what is already it is. 6. You no longer see the importance of communication. What’s the point of staying together when you no longer want to communicate with each other? When the argument is still fresh, you may want to have some space before having enough strength to face each other again. But if you’re able to live through the communication gap that’s getting bigger, it might be a sign that you no longer feel the importance of each other. Of course, physical abuse shouldn’t be tolerated. Any form of abuse, physical, verbal, emotional, psychological, it is all a signal that says you have to run for your life before the damage would be too great. It’s a clear sign that the other person’s love for you has been completely lost. There are also cases when both of you tried to make the relationship work. But when you always end up hurting each other, letting go might be the best option. You may simply be two loving people who just can’t live with each other.